Automated wafer bond inspection. Together with the new developed scanning mechanic of the v-series and the new patent pending transducer shape highest scanspeeds are reached. 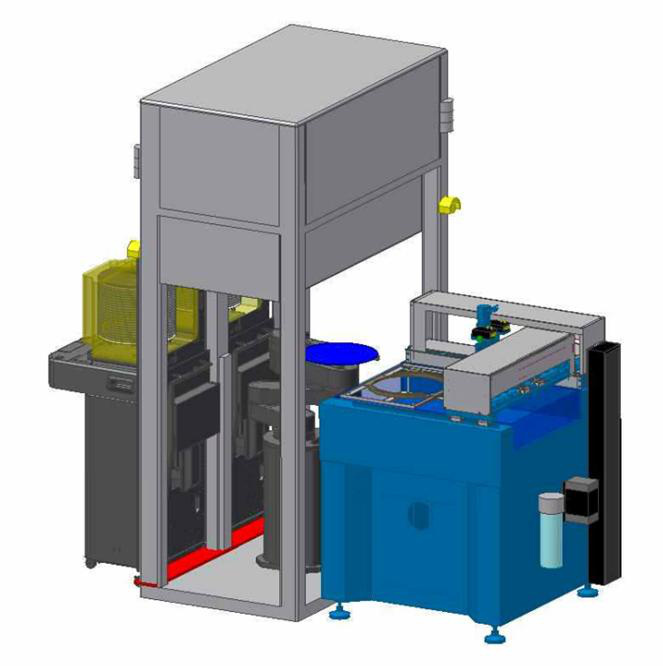 Combined with a customized manual wafer cartridge or an automated wafer-handler the time of inspection is reduced up to 30% compared to other SAM-systems. The i-wafer is an advanced instrument which automatically handles and inspects wafers on operator-selected accept/reject criteria. With the help of the i-Wafer voids, delimitations or inclusions inside wafers and its structures can be detected. The inspection of multiple wafers up to a size of 450 mm is already applicable.